Here in Tokyo, the gimmick machine never sleeps. 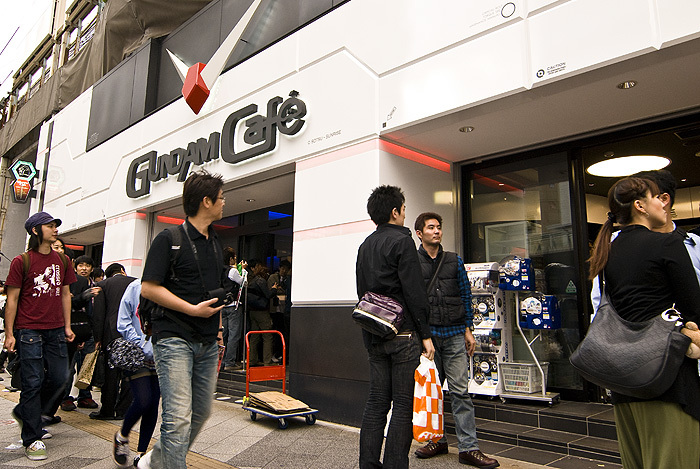 I suppose that after the success of the giant Gundam statue briefly displayed in Odaiba it was inevitable that we'd get a Gundam themed bar/cafe, of course opening up shop in the Mecca of all things Gundam (next to Akihabara station). 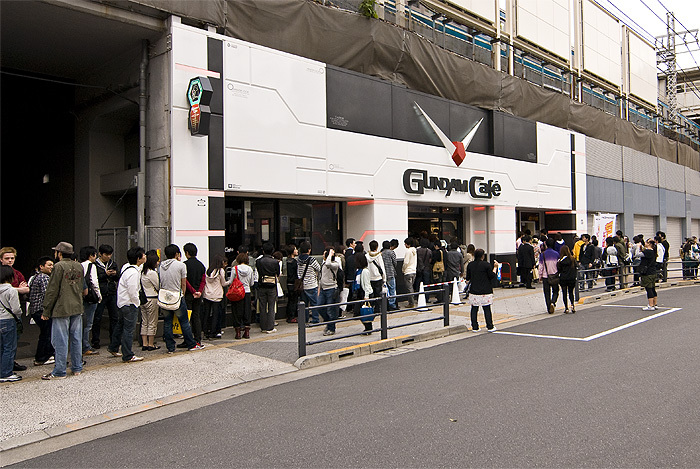 They sell a wide variety of Gundam themed food and goods: Gundam coffee, Gundam biscuits, cake, a variety of spagetti and curries eaten by the Gundam pilots like Amuro Rei, etc; and judging from the people milling around, and the long queue stretching off into the horizon, they are doing well. No interior shots unfortunately, my lineup allergy prevented me from going inside.